Just last week when I saw this chocolate cookies recipe shared in one of the Facebook baking groups, I knew I just had to make them soon. So here is my version with grated orange zest. 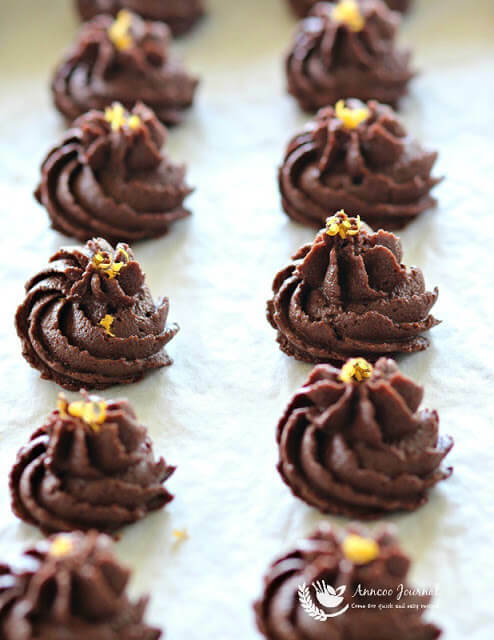 These cookies are not only chocolatey and full zesty orange fragrance, they are also crumbly and melt-in-your-mouth. 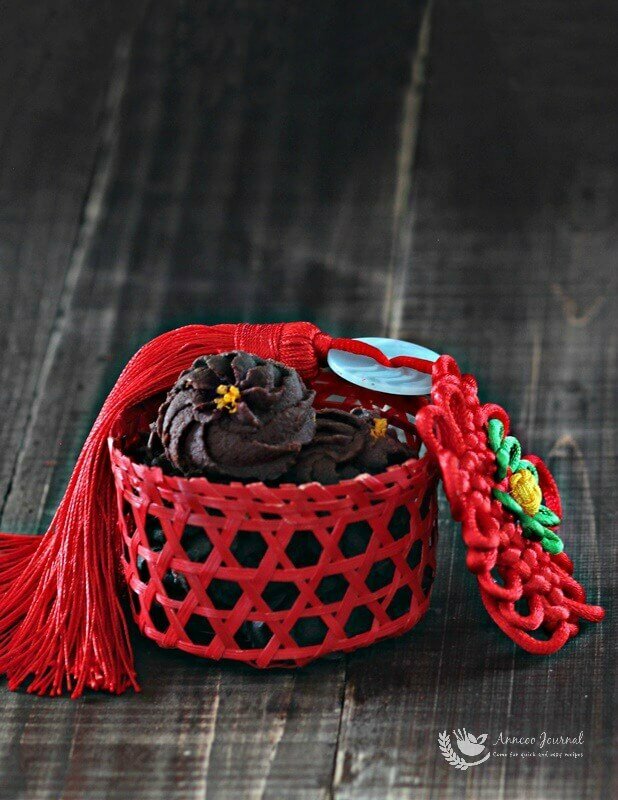 As Chinese New Year is coming in about 4 weeks’ time which falls on 8th Feb this year, why not add this to your CNY baking list too? ** change plain flour to 170g and less cocoa powder to 20g if you're afraid too much cocoa powder will gives a bitter taste to the cookies. Preheat oven to 150 deg C. Sift plain flour, baking powder and cocoa powder in a bowl, set aside. Beat butter, icing sugar and orange zest at low speed till smooth and add egg yolk, mix well. Pour in flour mixture in batches to form to a dough. Scoop dough into a piping bag and pipe onto lined paper tray with desired design. Bake cookies for about 15 minutes (I baked 20 mins) and leave to cool before storing into an airtight container. Hello Jaime, These cookies are a little crisp after baked. You can increase the baking powder to 1 tsp and add 1 tbsp almond meal to make the cookies more crispy. Icing sugar is not fresh anymore after keeping for sometime, that's why you need to sieve it every time before use. Most of my cookies are using salted butter unless stated. 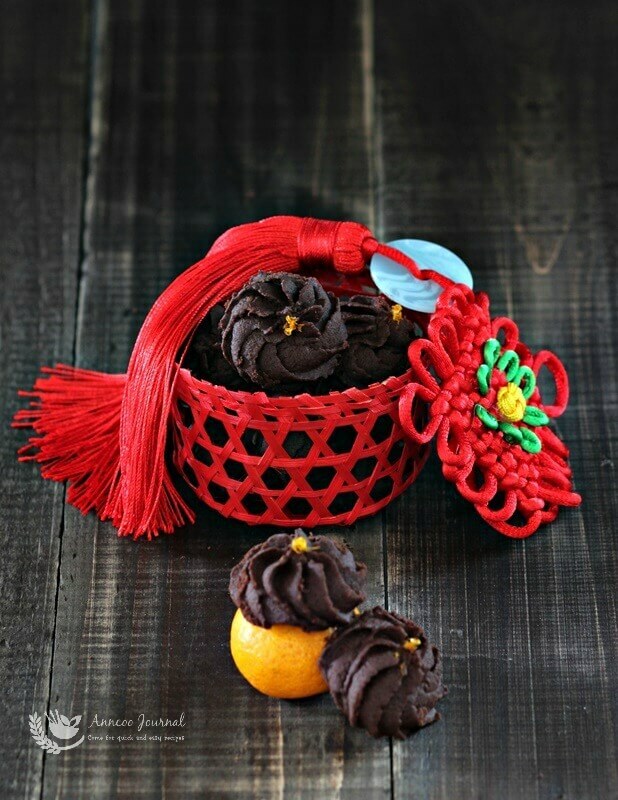 Hi Ann, this orange chocolate cookies look like great combo, auspicious for CNY too! 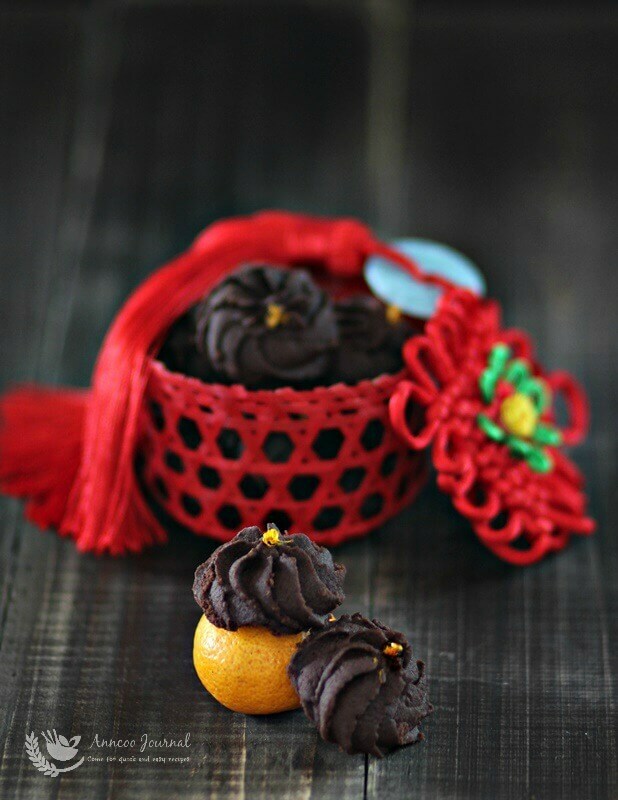 Orange and chocolate is certainly a good combination like what Angie said. Bet they must be real yummy! Orange and chocolate are absolutely a dream team! These look so beautiful, Ann.